Every angler dreams about a reel that is both lightweight and heavy duty. Unfortunately, this unicorn cannot exist due to the laws of physics. 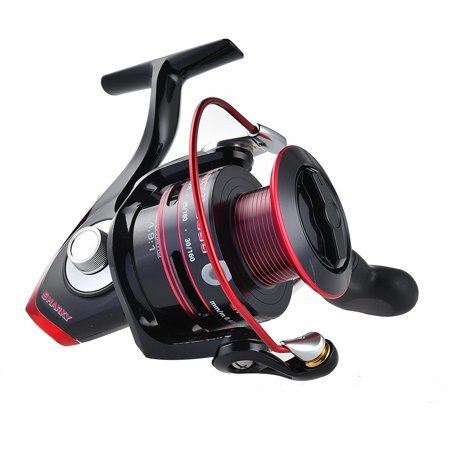 Heavy-duty reels are equipped with all-metal bodies and mechanics, powerful drags, several ball bearings, solid handles and so on. They also offer high line capacity, which means that they can hold many lines. All of these features add extra weight, ounce by ounce, until our light-as-a-feather unicorn becomes as heavy as lead. To choose the best ultralight spinning reel, you should search for a reel with a compromise between performance and weight. As an avid angler, I tried almost 200 reels made by different manufacturers. Some models were great, some were a disaster. The best lightweight reels that I found are ones that I would recommend to my fishing buddies or purchase for myself. Below, I have given my top 5 picks. They are light, but not at the expense of quality. Okuma is a Japanese company that has grown into an unbeatable market leader in the past 20 years. The manufacturer is known among accomplished anglers by its strict quality control. Okuma Helios is a marvelous example of Japanese performance standards. The series includes four models for different fishing styles. They differ in size, weight, line capacity, and gearing. Due to its overall performance, anglers call Okuma Helious the best crappie reel. I highly recommend this model for any panfish. Okuma Helious mechanics is impressive. Thanks to the eight ball bearings and one roller bearing, the casting is flawlessly smooth and precise. To reduce weight, the manufacturer made the main gear from machine-made aluminum. This metal is durable and rigid; it will not break under pressure. The reel is lightweight and feels great. The bearings are made from corrosion-resistant stainless steel, yet they are not shielded, which are required for saltwater fisheries. For the offshore fishing this is not a problem, just carefully rinse the reel with fresh water after every session and re-lubricate it. However, I do not recommend this model for offshore fishing with direct contact with the water. The ocean sometimes washes the reel, and the water may seep inside. Compared to open-face models, this closed-face reel is more challenging to maintain. Away from shore anglers often forget to clean the reel, and this may cause gear clicking. Poor service also shortens the lifespan of the reel. Abu Garcia is one of the first brands that beginners learn while chatting with avid anglers. This brand was initially Swedish, but is now owned by an American company. The new owner maintained the outstanding quality and modernized the Aby Garcia design. 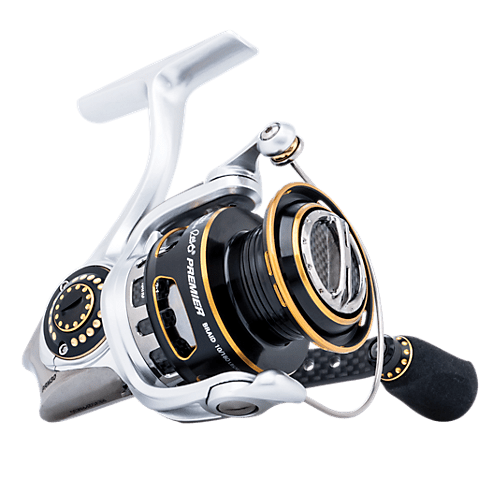 Abu Garcia Revo is a series of four models with high-end components, including carbon stem and rotor, carbon matrix drag, carbon fiber handle with ergonomic EVA knob. Fishermen enjoy ultra-smooth gear feel with durable aluminum machine-made gear system. The all-metal mechanics is both lightweight and hard. The reel performs great with crankbaits, topwater or any finesse applications. In addition to the high line capacity and powerful mechanics, this makes Abu Garcia Revo a perfect reel for bass fishing. Once, I hear from a beginner that anti-reverse kicks in when setting a hook. This may be a manufacturer’s defect or a result of harsh use. By the way, many novices think that the model is a little bit pricey. In my opinion, the price is absolutely adequate for the quality. Shimano is a Japanese company with almost a hundred years of history. The manufacturer has one of the strongest engineer team in the tackle production. Shimano Sedona is the lowest priced model of the brand range, yet it featured all the Shimano key technologies. The model is lightweight, however, all mechanics are metal. The line capacity allows for long-distance casting. The Hagane Gear is incredibly durable. It lasts for several years and gives an angler smooth gearing feel. The line management system keeps the line from wrinkles and windknots and helps it to return to the spool evenly. The G Free Body is closer to the rod. The smaller distance between the body and the rod is more comfortable to an angler compared to models without this technology. The model is not equipped with an anti-reverse system. Most avid anglers, including me, consider this feature excessive, especially for large fish landing. For novices, it may be better to choose another reel with anti-reverse. A more important drawback, in my opinion, is that a ball bearing system has only 4 bearings. Because of the small bearing number, the reel can’t remove all the micro-frictions. Sometimes the casting is not perfectly smooth. 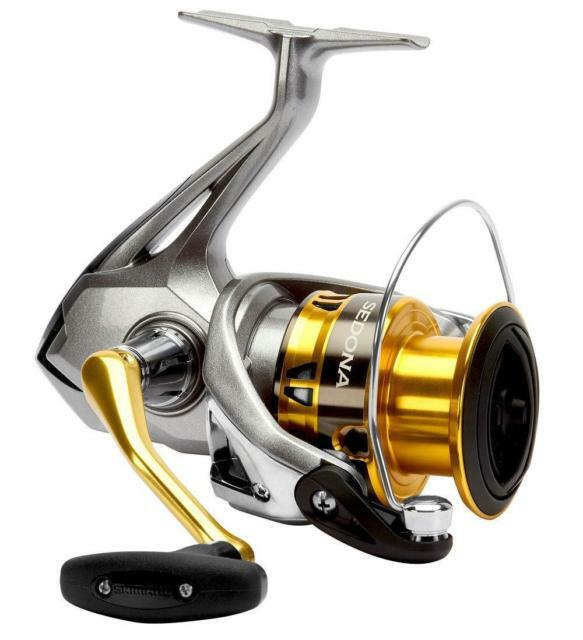 The KastKing reels are favored in every US state and over 150 countries worldwide. The reason is their attractive price-quality ratio. Any average angler can enjoy the best without breaking the bank. The KastKing Sharky III 5000 is a brand new model that already has conquered the market. The reel offers features that are appreciated primarily by avid anglers. This is definitely one of the best ultralight reels under $50. The bearing system that reduces micro-movements consists of 10+1 ball bearings. Thanks to so many bearings, the casting is super smooth. The bearing system is made from stainless steel and double shielded. This extra protection makes the reel a wise choice for saltwater conditions. The mechanics are tough and capable of landing monster trophy fish. The model is loaded with useful features; however, the weight is surprisingly small, weighing only about 10 ounces. The overall performance is outstanding; this is the best ultralight reel for the money. This model is not the ideal choice for windy weather. The line guiding system seems to be a weak spot. When the wind is strong, it is almost impossible for me to avoid windknots. However, I saw with my own eyes, how one angler uses the reel for ice-fishing on a stormy day. I suppose, that with a little practice this drawback may not be critical. Abu Garcia Orra SX is a series of three models for different needs. The design is based on the famous Abu Garsia Revo, but the price is more affordable. The engineers also added some features for hassle-free operation. 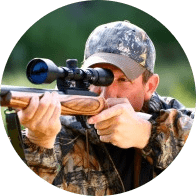 Orra SX is loved by its durability and easy-to-use design. Mechanics are all-metal, however, the model is portable and lightweight. The primary material is aluminum. The C6 carbon body is reinforced and feels great in hands. The ball bearing system is made from stainless steel. It is well protected from corrosion. The casting is silky smooth thanks to the 8+1 stainless steel ball bearings. The slow oscillation system evens line lay with any type of line. It is especially helpful for braid. The spool is braid-ready, which meant that braid lay directly and without slip. This model will be a wise choice for beginners, who want to become a pro faster. Some anglers are stick to the Abu Garcia Revo. When they compare this model with the Orra, they mention less smooth drag. In the Orra, the drag sometimes works in a stop-and-go fashion. The market range continues to grow every year, and it becomes harder to make the right choice without knowing the basics. Below, I explain what to look for in an ideal spinning reel and how to choose the best one according to your fishing style. A manufacturer’s brand defines the quality of your fishing tool. Even if the particular reel is made in Asia, the head company is still in charge of quality control. In my list, I include only brands with a long history of tackle production and a solid reputation among anglers. Shimano, Abu Garcia, Okuma, and KastKing are market leaders loved by both beginners and professionals. Their reels are well machined, they last long even under harsh use. Manufacturers use aluminum frames for ultralight spinning because this metal is both durable and lightweight. If you see a stainless steel frame, the model is not ultra light. The only part that can be made from steel is the ball bearing system, which doesn’t add much weight. The small reel weight makes it portable and protects your hands from overworking. To reduce the weight is extremely important if you have weak joints or back, like me. By experience, I can tell that if you cast and retrieve all day long, the next day your back will be tired. If the reel was too heavy, it also can hurts. The lightest model from my list is Abu Garcia Revo. Anglers buy it not only for themselves, but also for women, children, teenagers, and the elders. Spinning reels were invented to manage lightweight and small lures. When you operate such lures, you need to cast and retrieve quickly; this is why the spool in spinning reel turns faster than in the baitcaster, and the gear ratio is higher. The drag system in a reel spins the spool multiple times for each rotation of the handle. Abu Garcia Revo has the most productive gear. Its ratio is 6.2:1, which means that when you turn the handle once, the spool spins 6.2 times. If the spool spins quickly, you can faster pull a fish from the water. This is convenient for small and medium fish like panfish. When you are catching panfish, faster casting and retrieving will give you more trophies at a time. When it comes to heavy fish, the speed is less important than the power of drag. The drag system handles the fish and prevents it from breaking the line. When a fish pulls too hard, the drag allows a small amount of line to go out the spool. This way you can control the distance between you and a fish. The anti-reverse holds the handle so it cannot rotate backward. I think that anti-reverse sometimes does more harm than good because turning back the handle can save both the line and a trophy. However, this is a matter of preferences. Drag power is measured in pounds. This number should be more than your target fish. For a spinning reel, it is more than enough to have 10-20lb drag. The overall construction of a reel will not allow you to handle monster fish. If you want to go after large catfish or trout, you should choose a baitcaster. In the list, the KastKing III has the most powerful drag – 39.5lb. This is maybe too much. The Abu Garcia Orra SX gives an optimal number – 12lb. The number of bearings. The bigger is better. The material. The ball bearings should be metal, no plastic parts allowed. 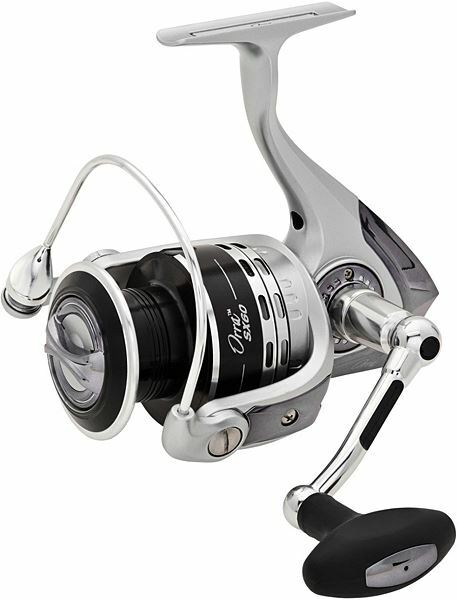 Abu Garcia Revo Premier Spinning Reel is equipped with 11+1 stainless steel ball bearings for flawless casting. They are protected from corrosion due to the material; however, they are not shielded. I recommend using this reel for freshwater conditions. KastKing Sharky III with 10+1 double shielded ball bearings made from stainless steel. This reel will be a workhorse for saltwater fishing. Do not forget to keep all mechanics well-lubricated and it will serve you for many years. An ergonomic handle. The handle should be metal or made from other rigid material. A sleek body. For hard conditions, it is better to choose a close-faced design. It protects the mechanics well. Well-lubricated internals. Re-lubrication takes your time. An oscillating spool that makes the line even. The fewer line tangles you have, the better is your fishing experience. High line capacity. If a spool can hold many lines, you do not need to rewind it after each several sessions. A braid-ready spare spool. For each line type, you need a spool. If you prefer braid, I recommend braid-ready models. With them, you can tie braid directly to the spool without mono backing. The last feature is a warranty that covers manufacturer’s defects. 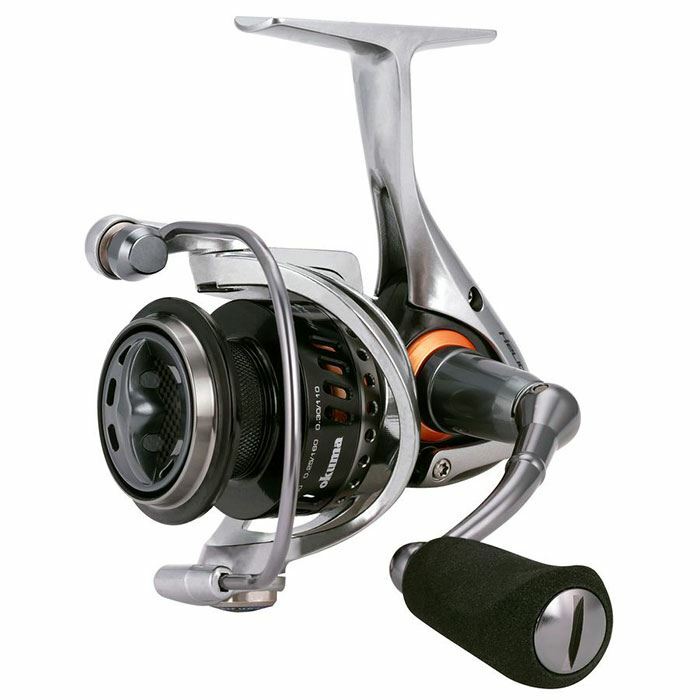 Okuma and KastKing reels are backed with a one-year limited warranty. Also, these companies provide the most beginner-friendly customer support. The support team is available and ready to help. Thanks to its spectacular performance, the KastKing Sharky III is the best all-around ultraweight spinning reel. It is easy to control and designed with anglers’ needs in mind. Even if you are just starting up, with a little practice, you will cast without a hinge.